Naturopathic medicine is an art and science that draws both from traditional healing therapies and cutting edge scientific research. Dr. Munro uses natural and non-invasive treatments to treat the whole person, not just disease symptoms. 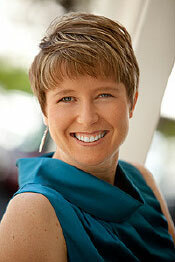 She provides education about health concerns and available treatments. Patients receive guidance and support at every step along the way to restoring balance and vitality. Dr. Stacey Munro, a Naturopathic physician, has been treating adults, teenagers, and children for chronic health issues since 2007. Nature’s Helper Medical Clinic recently moved from Windsor, CT to a newly renovated facility in Suffield, CT.
Have any questions for Nature's Helper? Let us know. I can’t thank you enough. I have been suffering with stomach pains for 4 years. After years of going through all types of tests and being given prescriptions that only made things worse, I am now pain free. No one else including the gastroenterologist thought to test me for food allergies and sensitivities. Now that I have changed my diet, I feel great!